Mother Teresa Research Papers account for all the charitable help she gave others. By Catholic Church standards, did Mother Teresa deserve to be Sainted? What was Mother Teresa's conflicting relationship with fame? In actuality, was Mother Teresa truely an example of a woman who had taken a vow of poverty? Mother Teresa, who was born Agnes Gonxha Bojaxhiu in Macedonia in 1910, has been the object of my admiration and an example for my personal aspirations in the treatment of my fellow man. Although I must concede that I have not planned on devoting my life to the same charitable pursuits that Mother Teresa did, I believe that many of her traits can be applied to my own life and in the way that I recognize and address the needs of those around me. Her example as an individual who exhibits extraordinary qualities that are largely beyond the reach or capacity of the average individual makes her a heroine in my eyes. Mother Teresa’s early life was starkly different than mine and it is reasonable to suggest that it was not the life that would prompt most individuals to plan a life of giving to others. Her father died when she was very young, which left her widowed mother to take care of her and her two siblings alone. However, despite the challenges, her mother may have been her greatest example because, not only did she take care of her children but she also took care of others, particularly the alcoholic women in her community. Mother Teresa would follow her mother’s example by first assisting in the work of the Church, and through much prayer and thought, aspired to one day serve in India, a country that she will be equated with for the rest of her life. She adopted the name Teresa just prior to her advent into India, where she spent the balance of her life assisting in the care of people living in poverty and with physical afflictions. Even more, Mother Teresa expanded her mission to include visits to countries around the world where she pleaded with political officials, social service organizations and the average person to make service to humanity a prominent and worthy goal. I believe that modern society exhibited its true perception or attitude on the value of a life devoted to charitable works by people like Mother Teresa upon her death in 1997. Her death followed shortly after that of Princess Diana, whose life, although she was noted for her own charitable work in her relatively brief life, was much more lauded and sympathized with than was Mother Teresa’s when she left this world. National attention and news broadcasts focused only briefly on the life and contributions of Mother Teresa as her work was preempted by the life of a young, beautiful and tragic British Royal. I believe, however, that this is how Mother Teresa would have wanted it. For those she touched, whether the needy, the admirer or merely the observer, Mother Teresa exemplified the selflessness and generosity that made her a heroine in her time and in my eyes. Women and Female Saints - Female saints from the 1st century include Mary, the mother of Jesus Christ; Saint Anne, Jesus's grandmother; Mary Magdalene; and Saint Claudia, the wife of Pontius Pilate. Women and Religion - In many Christian denominations, women are restricted from serving in the highest roles. Pro-Life research papers focus on the issues that conservative, right to life supporters hold. Missiological Anthropology - Research papers on missiological anthropology examine the study that focuses on human interactions in various societies, and how these interactions relate to the practice and teachings of the Christian faith. Christian Philosophy research papers discuss the philosophy that attempts to answer the questions of why humanity exists, how humanity came into existence, and how the world continues to exist. Christian Ethics research papers examine the elements of Christian Education and the interplay of morals in an ethical framework. Beliefs, Values, and Morals Application - Christian education provides the best tools for knowledge, values, morals, and ethics of the Christian in the workplace. Basic Christianity Research Papers study a book by John R. Stott that examines a four part approach to seeking a fulfilling reflection on the Christian faith. 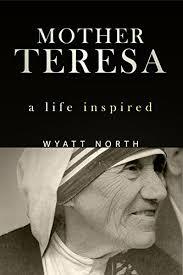 Paper Masters writes custom research papers on Mother Teresa and account for all the charitable help she gave others.